This is beautiful Nicky and just the sort of lovely bright colours we need at the moment! Very tropical summer. Lovely sunshine colours. 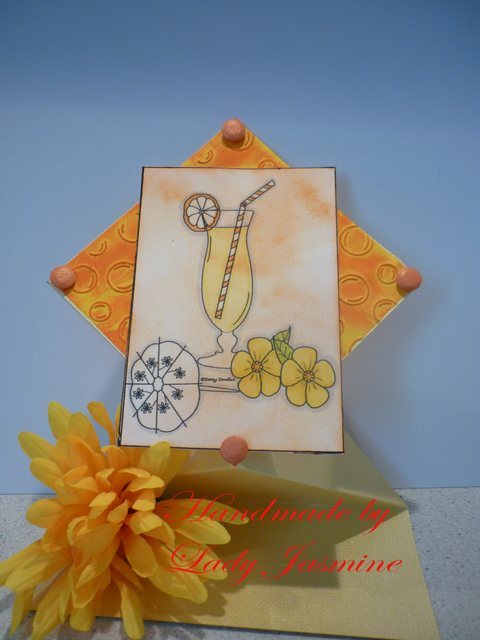 Love this card - and I love that bright yellow!! Love the shape of this card and how you used the Candi dots, really effective. This is wonderful, makes you feel all summery and relaxed just looking at it.